After spending last summer in the Tell Science Building, the summer Chapel series will return to Ethington Theatre next week for a more intimate weekly worship experience than those held in GCU Arena during the school year. Summer Chapel begins Monday with a message from Nathan Hale, GCU’s life leader manager, at 11:15 a.m. in Ethington and will continue each Monday through July 27. This summer’s Chapel speakers are University employees primarily from the Office of Spiritual Life and the College of Theology. Jared Ulrich, GCU worship manager, will lead acoustic worship services before each message. 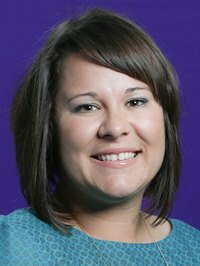 Danielle Rinnier, director of spiritual life, said the Chapel messages will not follow a specific theme, allowing speakers to share what God has put on their hearts. She hopes speakers will focus their messages on ways for employees to remain diligent through the slower summer months and encourage them to stay enthusiastic during a time of great change at the University with multiple construction projects. “The majority of people who attend summer Chapel are employees, so we wanted to have speakers who understand what they’re going through over the summer and can encourage and uplift them,” Rinnier said. 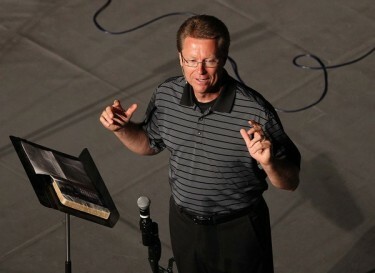 Dean of Students Pastor Tim Griffin will close out summer Chapel on Monday, July 27. Employees hopefully will use Chapel to reconnect with God and grow in their faith before school resumes in August, she said.